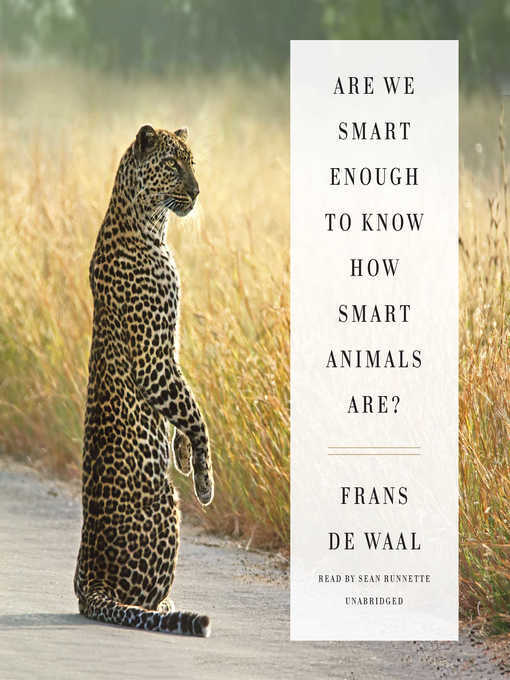 From world-renowned biologist and primatologist Frans de Waal comes this groundbreaking work on animal intelligence destined to become a classic.What separates your mind from an animal's? Maybe you think it's your ability to design tools, your sense of self, or your grasp of past and future―all traits that have helped us define ourselves as the planet's preeminent species. But in recent decades, these claims have been eroded—or even disproved outright—by a revolution in the study of animal cognition.Take the way octopuses use coconut shells as tools; elephants that classify humans by age, gender, and language; or Ayumu, the young male chimpanzee at Kyoto University whose flash memory puts that of humans to shame. Based on research involving crows, dolphins, parrots, sheep, wasps, bats, whales, and of course chimpanzees and bonobos, Frans de Waal explores both the scope and the depth of animal intelligence. He offers a firsthand account of how science has stood traditional behaviorism on its head by revealing how smart animals really are—and how we've underestimated their abilities for too long.People often assume a cognitive ladder, from lower to higher forms, with our own intelligence at the top. But what if it is more like a bush, with cognition taking different, often incomparable, forms? Would you presume yourself dumber than a squirrel because you're less adept at recalling the locations of hundreds of buried acorns? Or would you judge your perception of your surroundings as more sophisticated than that of a echolocating bat?De Waal reviews the rise and fall of the mechanistic view of animals and opens our minds to the idea that animal minds are far more intricate and complex than we have assumed. De Waal's landmark work will convince you to rethink everything you thought you knew about animal―and human―intelligence.